Natanite: Mineral information, data and localities. 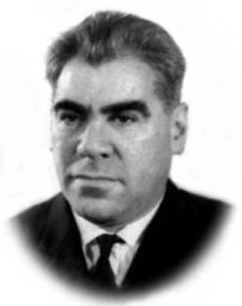 Named in honor of Natan Il'ich Ginzburg (Натана (Анатолия) Ильича Гинзбурга) (1 March 1917, Petrograd, Russian Empire - 15 September 1984, Moscow, USSR), mineralogist and geologist at All-Union Research Institute of Mineral Resources, Moscow, Russia, who researched oxidized tin deposits. The Fe analogue of schoenfliesite. Natanite and jeanbandyite are the only hydroxide minerals with dominant Fe and Sn. Compare 'UM1982-07-OH:FeSn'. Ilvaite 9 photos of Natanite associated with Ilvaite on mindat.org. Vismirnovite 2 photos of Natanite associated with Vismirnovite on mindat.org. Arsenopyrite 1 photo of Natanite associated with Arsenopyrite on mindat.org. Tetrahedrite 1 photo of Natanite associated with Tetrahedrite on mindat.org. Varlamoffite 1 photo of Natanite associated with Varlamoffite on mindat.org. Amblygonite 1 photo of Natanite associated with Amblygonite on mindat.org. 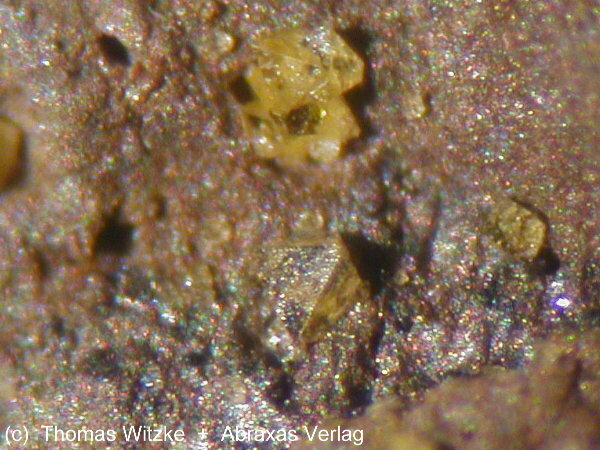 Arthurite 1 photo of Natanite associated with Arthurite on mindat.org. Mushistonite 1 photo of Natanite associated with Mushistonite on mindat.org. Quartz 1 photo of Natanite associated with Quartz on mindat.org. Cassiterite 1 photo of Natanite associated with Cassiterite on mindat.org. Strunz, V.H., Contag, B. (1960) Hexahydroxostannate Fe, Mn, Co, Mg, Ca[Sn(OH)6] und deren kristallstruktur. Acta Crystallographica: 13: 601-603. Christensen, A.N., Hazell, R.G. (1969) Hydrothermal preparation of hydroxy stannates. The crystal structure of MnSn(OH)6. Acta Chemica Scandinavica: 23: 1219-1224. Marshukova, N.K., Palovskii, A.B., Sidorenko, G.A., Chistyakova, N.I. 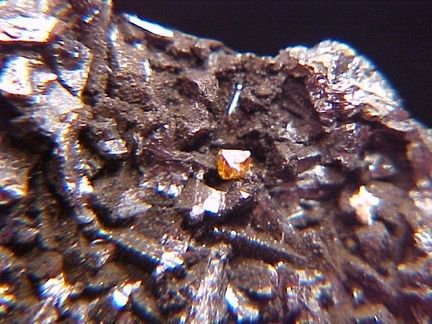 (1981) Vismirnovite, ZnSn(OH)6, and natanite, FeSn(OH)6, new tin minerals. 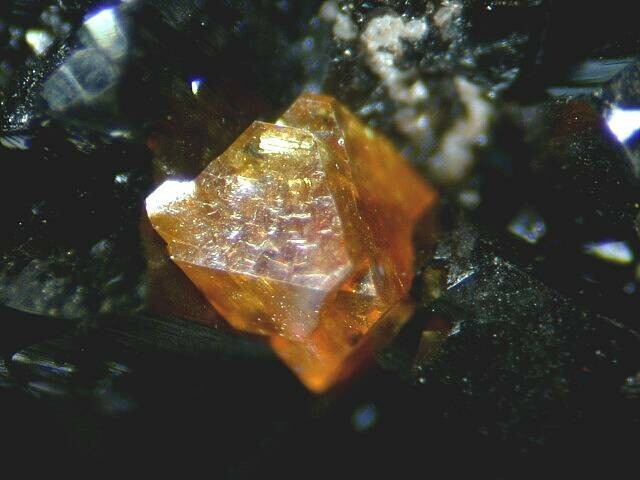 Zapiski Vsesoyuznogo Mineralogicheskogo Obshchestva: 110: 492–500 (in Russian). Betterton, J., Green, D.I., Jewson, C., Spratt, J., Tandy, P. (1998) The composition and structure of jeanbandyite and natanite. Mineralogical Magazine: 62: 707-712. Welch, M.D., Kampf, A.R. (2017) Stoichiometric partially-protonated states in hydroxide perovskites: the jeanbandyite enigma revisited. Mineralogical Magazine: 81: 297-303. Betterton, J. (2000) Famous Mineral Localities: Penberthy Croft Mine, St. Hilary, Cornwall, England. UK Journal of Mines & Minerals, 20, 7-37. Betterton, J., Green, D.I., Jewson, C., Spratt, J., Tandy, P. (1998) The composition and structure of jeanbandyite and natanite. Mineralogical Magazine, 62:5, 707-712.